This pool had old beat up concrete around it. 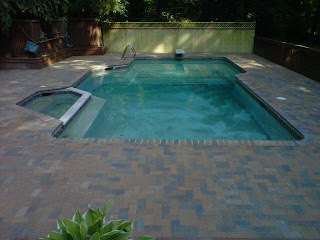 We installed thin 1 1/2" pavers on top of existing concrete using a thin set of mortar. This is a 4x8 Traditional Paver in the Salmon Charcoal Blend color.